I feel like my reading mojo took a little hit, but I am happy I still got in 3 books for the month. A little bit of everything too. Highs & lows. But I did totally walk away with a favorite for the month - that's always a good thing. Fast Summary: 4 sets of friends do all of life together in strong relationships but you see whats behind all these relationships when one of the couples die in a mysterious & unexpected accident. So I'm apparently becoming a Hilderbrand fan. This is my 2nd book &I just bought 2 more. This one is about a group of 4 couples (8 people) & their stories, how they intertwine with one another & how it effects the group when 2 of them pass away in an awful accident, as well as the relationships that were there before the accident. A lot of characters. I liteterally had a notecard with all the names & arrows drawn all over it to keep me straight on it. I did like this one - probably better than my first Hilderbrand book (The Matchmaker). A good book on how different personalities come together, how the relationships look & how friendships can be full of love & family & support. "Forgiveness is a powerful thing"
Fast Summary: Willowdean enters a local beauty pageant in honor of her aunt who passed away, despite being everything that is NOT a pageant girl & inspires others to step up & join in 'the cause' while finding each of their own unique beauty. I can't believe this took me so long to get around to this book. I just absolutely loved it. Mainly because I could so relate to Willowdean. The teenage girl who wasnt the one who could shop in the mall with friends because of her size & the one who was always expecting to be made fun of for her weight. & the one who was always nervous about an idea of a boyfriend because it meant shedding down some layers, in many ways. Plus, girlfriend is a Dolly Parton fan... which for me, is my whole childhood listening to her albums. I just totally GOT Willowdean. & loved this book. I honestly need this to be a movie RIGHT NOW!!!! With a cameo by Ms. Parton herself!!! "All my life I've had a body worth commenting on & if living in my skin has taught me anything its that if its not your body, its not yours to comment on"
Fast Summary: A notebook is passed between 2 strangers forming a different kind of relationship & then what happens when they have to find one another & meet in person. This had a really cute idea for a story... & I actually think I just read where a similar movie is being made with this same idea.... but a guy finds a book with a scavenger hunt on it & he completes it & leaves a note in return to the girl who created it. & a writing back & forth between them happens, with them revealing deeper sides of each other they would ever show to anyone else. ... but I did finish it, & I will say, the end did bring it back up for me. Didn't make me trash it. So, in the end, it was just MEH to me... take it or leave it. Not a must to read in any shape or form. I know these are the people that wrote Nick & Norah's Infinite Playlist, which I've been wanting to read too... now I'm scared. 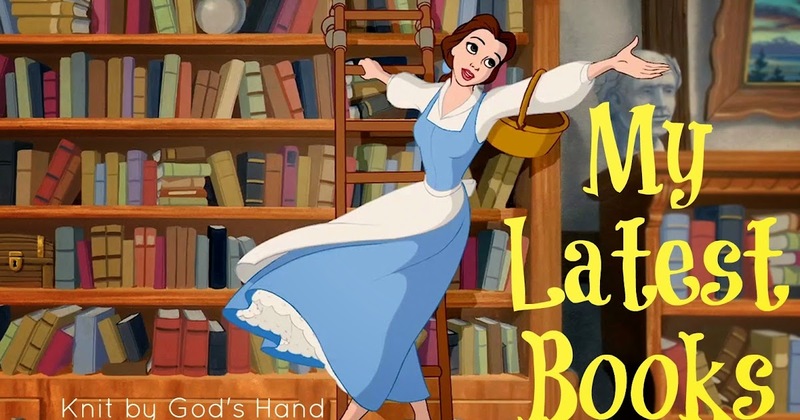 "Luckily, I always travel with a book, just in case I have to wait on line for Santa, or some such inconvenience"
So what is your favorite book you've read this past month? Dumplin' was such a great, heart warming book. I love love love Dumplin! One of my favorite characters of this year. I have several Elin Hilderbrand books on my TBR and I really need to try one. I was going to start with one this past month, but I had just read The Weekenders and the book sounded super similar to it so I decided to chose something else instead so I wasn't comparing the two constantly. Ok. I want to read Dumplin. Gotta go see if my library has it. My library has the audio version available. Now I know what I'll be listening to today at work. I will forever smile when I see Dumplin' on a list...because YAY! It's SO GOOD! Don't you just love those books where you can really relate to the characters? I love them, because they seem so close to real life! i have read a couple of david levithan books and i am not a fan. so i get ya. glad you loved dumplin! so good. i have her new book, ramona blue, from the library. i'm excited! I adored Dumplin'. I feel warm inside just thinking about it. 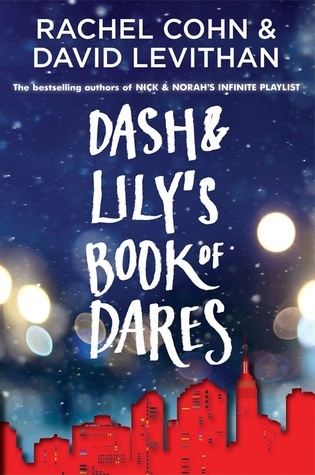 Are you planning on reading the other ones in the Dumplin series? 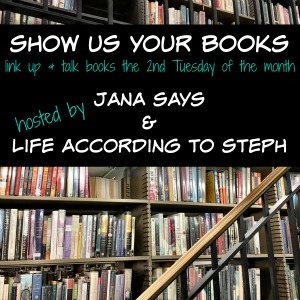 (I'm guessing that's a "duh," but I wonder if you ever hesitate to read more books in a series because you're afraid they won't measure up?). Anyway, I might have to give Dumplin a try myself, once I've FINALLY finished all the other books I'm in the middle of, ha ha. The pageant book sounds fun, I need to check it out. Dumplin' was an incredible book. Julie Murphy did a spectacular job on that one. Dumplin' is being made into a movie, although I don't think it's going to be released until next year. I am embarrassed to admit that I have still not read it but I am bound and determined to read it before year-end, which sounds easy but I get easily distracted by other shiny books! LOL! And I also want to respond to your comment on my post - Emma in the Night is not a funny book. At all. I laughed hard at the description of a narcissist because it happens to perfectly fit our Commander and Chief. And then I cried (not really but felt really glum immediately afterwards) because giving nuclear codes to a narcissist is not a really good idea. :D I just didn't want you to grab the book thinking it was a mix of fun and mystery because you would be very irritated with me! 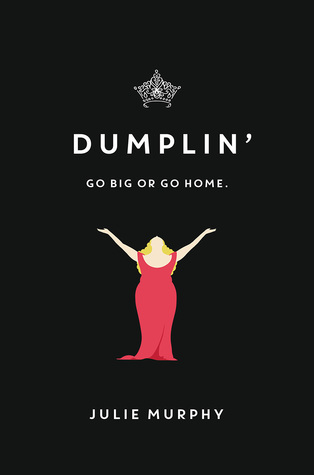 I need to read Dumplin' like so soon! Everybody always talks about how amazing it is! I also don't know how I missed that it's going to be a movie too! I really, really need to read Dumplin'! Everyone talks about how good it is! I've seen Dumplin' pop up a lot, I might give it a read even though it doesn't seem like my usual genre. Hmmm....I can't remember if I've read that Hilderbrand book or not?! Glad you're enjoying one of my favorite authors! My co-worker loved Dumplin' as well; I need to go ahead and read it already! Dumplin' sounds good, though not my usual murder mystery genre. Yay for The Castaways! I read that too and thought it was better than the first Hilderbrand book I read, The Rumor. Quickly becoming a fan. A cameo by Dolly in a movie adaptation of Dumplin' sounds like a movie I would watch over and over again. Hollywood, are you listening?!?! Interesting books... I think you've finally convinced me to read Dumplin'. 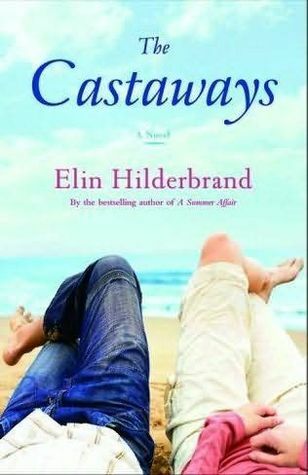 I also added The Castaways to my TBR list!